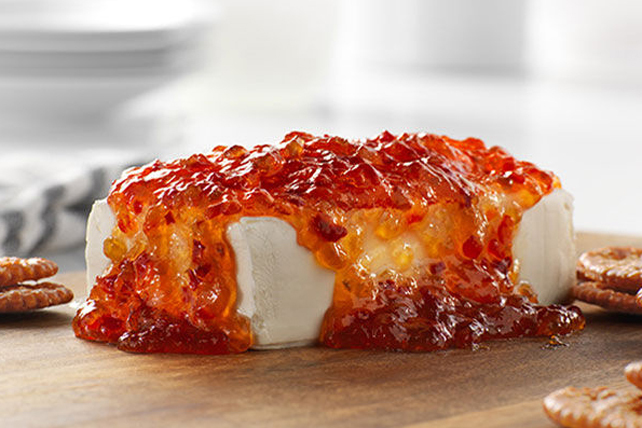 Looking for something creamy and cheesy and a little hot and sweet to start the party? This sweet chili dip will do the trick. You've got to love a 5 minute appetizer recipe! Place cream cheese in serving dish. Serve with crisp tortilla chips, assorted crackers or pita chips.